Respect Your Cat Day rolls around every year on March 28th. How do you respect your cat on this day and every day of the year? Chances are, you and your cat have a bond that only you can explain. Our cats are our best friends and they do love us unconditionally. Does your cat like to be held a specific way? If so, why not make a concentrated effort to hold your cat this way on Respect Your Cat Day? Most cats, but not all, love to sit on their owner’s laps and enjoy a massage. The majority of cats do not like their bellies rubbed, as they tend to enjoy little ear and neck massages. 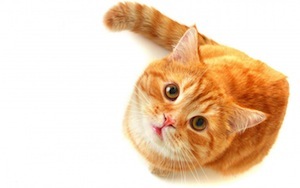 Brushing your cat can be a long, drawn out process if you do not do it regularly. When you make the time to brush often, your cat will be much happier and content. Make sure you have a brush on hand that works with the length of hair your cat has. Cat owners often make the mistake of purchasing the wrong size brush for their feline friend. Respecting your cat should be something you do on a daily basis, but March 28th is a good day to remind you of the passion that you have for your cat. Your cat probably enjoys a cat treat now and then. Why not let your cat have a couple more than usual on Respect Your Cat Day? Not too many more, but enough to make you both feel really good. Cats have a way of making their owners feel special 365 days of the year. When you go the extra mile to respect your cat, the return on your investment is huge! A little extra purring and contentment will fill your home. If you find yourself a little busy and feel like you are neglecting your cat, give us a call at 321-794-4477. We can entertain your cat now and then and help you not feel guilty. Enjoy Respect Your Cat Day 2018 and get ready to celebrate again in 2019!